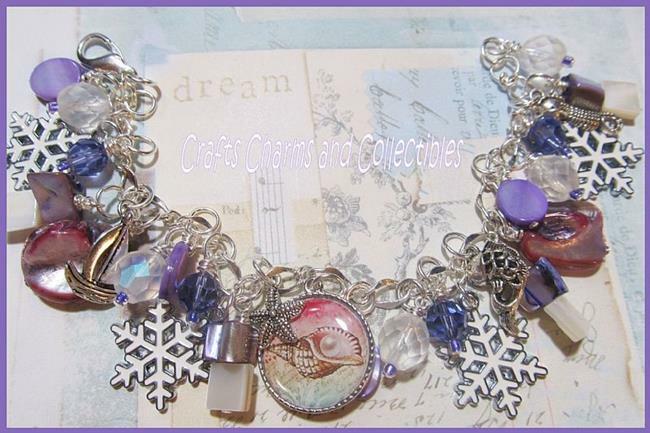 I just had to make a Seaside Wintery Christmas bracelet in Purple's and White! I just love the colors together! I purchase the images from a collage artist, re size and fit the images into the photo charms then finish them with a glossy Dome resin seal! photo charms are 25mm round, non tarnishing.